Experimental psychologist Akiyoshi Kitaoka posted the demonstration of lightness perception to Twitter. Akiyoshi Kitaoka, a professor in the Department of Psychology at Ritsumeikan University in Japan, has gone viral for a mind-boggling optical illusion he posted. 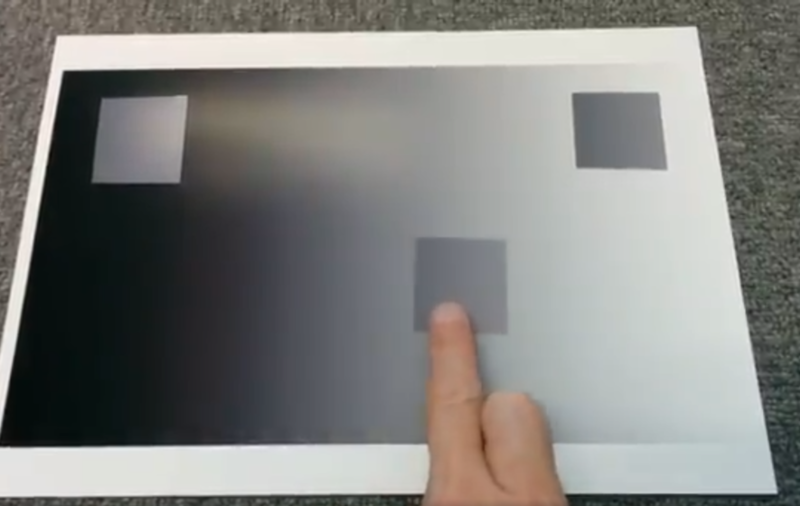 The short video demonstration shows a piece of grey paper that appears to change colours as it moves through a black-to-white gradient. The illusion works because when we look at something, our brains perceive its colour and shading relative to other things in the area, and how we perceive it’s lit; so the grey around the dark area seems much lighter by contrast. The trippy demonstration of this optical illusion video has over a million views. After plenty of baffled comments from social media users, Kitaoka also posted a visual explanation with a few graphs. Kitaoka explained through graphs that the intensity of light (colour) equals illuminance (brightness) plus reflectance (material’s effectiveness in reflecting radiant energy). There is more light being reflected on the white side, which makes the square look darker in comparison. He said: “It is a demo of lightness constancy, too. It shows how the visual system solves the ill-posed problem.